Discover what your future holds. From finding a good job with terrific career prospects to the possibility of your criminal record being expunged or sealed, the Young Adult Reentry Program can be your guide. Are you between the ages of 18 and 24? Have you had previous interaction with the justice system? Your future may actually be brighter than you’ve ever imagined. 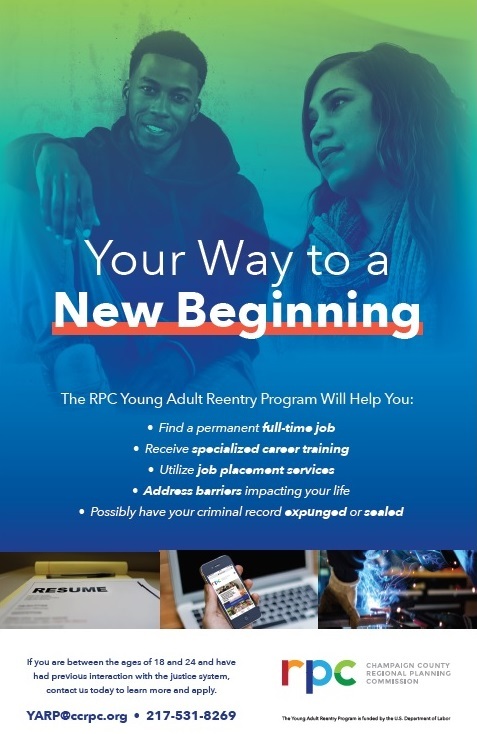 The RPC’s Young Adult Reentry Program wants to give you the opportunity to find job security in Champaign County and pursue your career goals. The program is seeking individuals from target areas of Champaign County who have faced employment challenges. To find out if you are eligible, simply call 217-531-8269 if you live in Champaign County and ask to speak with one of our Young Adult Reentry Program case managers. The Young Adult Reentry Program creates apprenticeship opportunities and increased prospects for gainful employment. 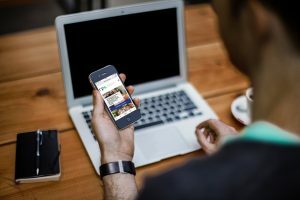 If you are an eligible participant, you will receive the training you need to compete and find jobs in some of the fastest-growing industries and with some of the area’s top employers. Upon completion of the Young Adult Reentry Program, your opportunities for employment and education within the community will grow while your prospects for a fulfilling and successful life will improve. The Young Adult Reentry Program can assist you in realizing your future. Learn more today by calling 217-531-8269.